There are many ways to introduce fragrance into your home. Planning how your home smells is becoming as important as the way that your home looks. As we learn more about how scent and fragrance can be used to create a mood or ambiance in a home, so we are turning to home fragrances as part of our plans for interior design. While home fragrance has long been used within a home, historically the fragrance would be used to mask other smells and odors. With better home hygiene and facilities, there is less of a need to use fragrance to mask other smells and it can be used as a home enhancer in its own right. There are many types of scents that can be used in the home and many of these provide long lasting home fragrance. Scented candles are a great option for people looking for long lasting home fragrance. Scented candles are available in a wide range of fragrances and scents. They have the additional benefit of looking great. When lit, candles can add a special romance to a room and when they are not lit, candles displayed in beautiful candle holders can be attractive pieces of home decoration. Many richly scented candles have a fragrance that is long lasting and that will also waft around the house. Diffusers disperse special fragrance oil around a room. These are a good alternative to scented candles for people who do not like the idea of a lit candle in the home. Diffuser oils include both natural essential oils as well as synthetically produced fragrance oils and this gives a wide range to choose from. Reed diffusers are becoming increasingly popular. These are special reeds that are allowed to soak in scented oils. They gently release the fragrance into the air. These are often attractive room accessories as well as a means of long lasting home fragrance. Plug ins are room fresheners are often thought to have a rather clinical or artificial smell. There are many new types of plug in freshener, however, that combine the convenience of a plug in room freshener with beautiful home fragrances. These can be long lasting with some lasting for over three months without the need for replacements. 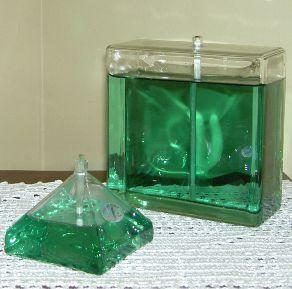 Candle warmers gently heat candles to release the fragrance from the wax. These are available in many different styles and designs and are a good compromise for people who enjoy the fragrance of scented candles without having a naked flame in the house. Candle warmers heat the candles very slowly and the fragrance is long lasting. Store candles well when not in use - if you have a scented candle or other form of home fragrance, make sure that it is stored well when not in use so it doesn't lose its scent. Keep candles out of direct sunlight and wrap them well to preserve the fragrance. Follow the manufacturers instructions for storing fragrance diffusers. Use the same fragrance in all rooms - this will help to give the home a distinct scent and will mean that a scented candle or diffuser can be moved from room to room. This helps to maximize the benefit of a single source of home fragrance. Look for long lasting formulations - some home fragrance products are formulated to offer long lasting fragrance. This includes candles that have been specially blended and diffusers that have been created to release scent over a long period of time. Long lasting scent and fragrance options will help to ensure that your house smells as good as it looks.